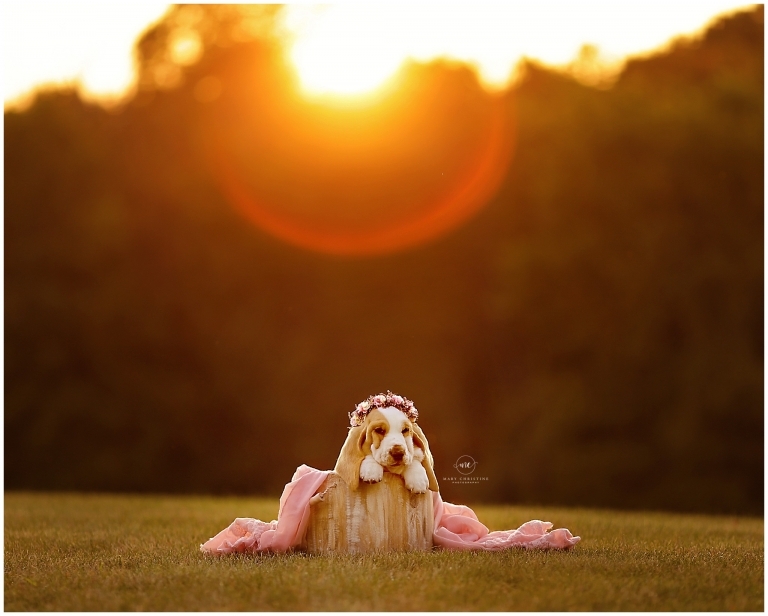 It’s about time that Darla had her own post here on the Cleveland Ohio photographer blog! This little lady joined our family back in September and she has a better Instagram following than I do. Seriously, this dog is more popular than me, which is totally fine with me! We think she is pretty awesome ourselves. 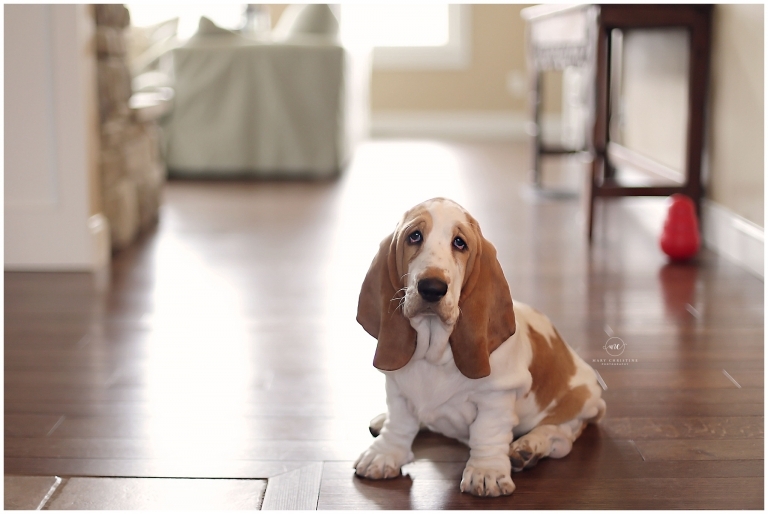 Darla is a Bassett Hound and came from Bassett Bottom Bassetts in West Virginia. We loved the care and attention that Gianna gave to her dogs and having had a basset hound in the past, we knew that is the kind of dog we wanted. She is sweet, loyal, lazy, and adorable! *Now I know adopting a dog is the best thing to do, but we had a not so great experience with a dog in the past with our children. So basically we wanted to make sure that we could have a dog with the right temperament and life experiences for our family. Of course you aren’t a member of our family until you have your newborn photos taken, so Miss Darla had to have her own newborn session. She is the most corporative member of our family so far when it comes to being photographed. Our kids love her so and it is so amazing to see them take on the care giver role and develop a bond! Our youngest had a fear of dogs and now loves Darla. It is amazing to see how much she has transformed in the last five months. 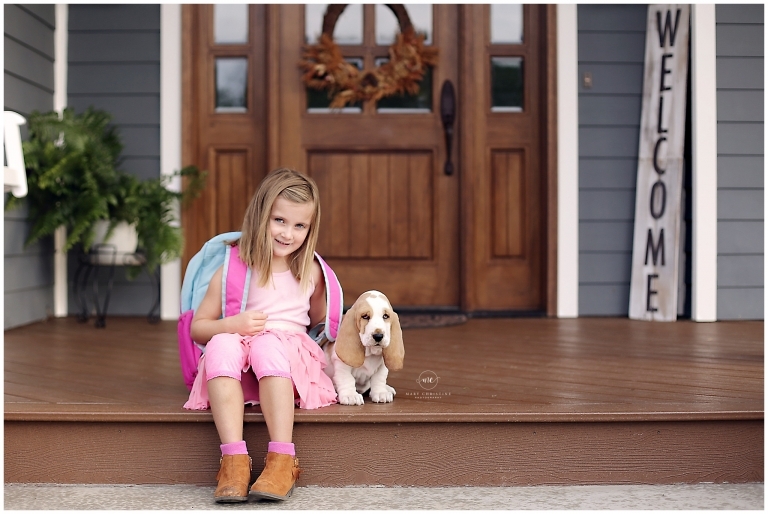 Darla even had to be in her first day of school photos. Want to see more of Darla’s adventures? She is a regular on my Instagram stories, be sure to follow me. This silly dog keeps us laughing and loving on her and will be your daily dose of cuteness. Along with babies of course! Thank you so much for stopping by the blog! Interested in finding a Cleveland Ohio photographer? I specialize in bump to baby photography and would love to do a session for you!